In the second part of our All About Aluminum Series, we will explore aluminum as the safest, and “greenest” building material on the market. 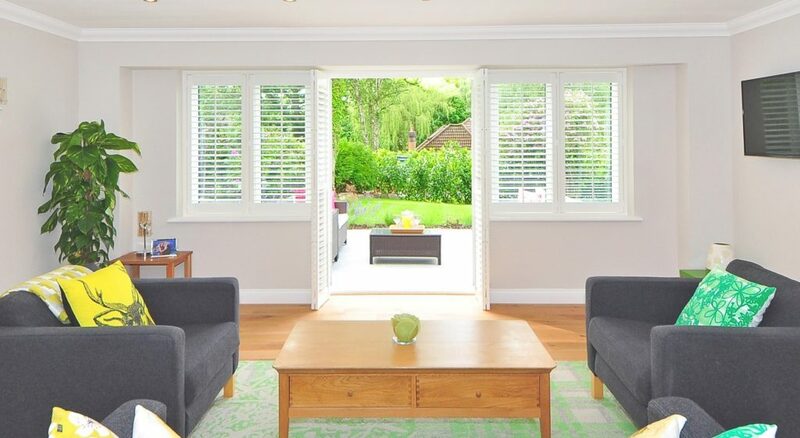 Homeowners interested in green window and door products will want to consider the entire life cycle of the product. It is most important to examine its effects on the environment from the manufacturing process through its serviceable life, as well as what happens to it when it is removed from our homes. Let’s take a closer look at three dominant window materials and examine their eco-friendly properties. Wood windows are the only naturally renewable building material in the world. But does that mean that wood windows are good for the environment? Not quite. The largest factor we have to consider is the concerns of deforestation and illegal logging. A “green” wood window manufacturer harvests their materials from certifiably sustainable sources, and manages their forests responsibly but this isn’t always the case. Experts estimate that farmed trees make up only 8% of all wood window and door products. Wood is biodegradable, but wood window manufacturers treat their products with chemical sealants and fungicides. Insects, especially termites, tend to attack and inhibit untreated wood. If possible, we recommend restoring your existing wood windows as it has a lower impact on the environment overall. High quality wood windows are an investment, and should be properly maintained over time for optimum efficiency. Vinyl is a highly toxic petroleum based product. It is made with PVC (polyvinyl chloride) and is known to be the worst plastic from an environmental health perspective. This particular plastic is one of the most environmentally hazardous consumer materials produced. Among the most important byproducts of the PVC life cycle is dioxin; a known toxin and a potent carcinogen. The production of vinyl windows releases dangerous pollutants into the air. In the U.S. alone, vinyl window manufacturing releases a reported 35,000 pounds of mercury into the environment every year. Further, in the event of an accidental building fire, those same toxic fumes pose a health risk to firefighters and nearby building occupants. Some communities prohibit the use of vinyl window products completely. Lastly, consider the impact on the world’s landfills with vinyl waste. It takes generations for vinyl products to degrade in a landfill, while simultaneously polluting nearby sediment and streams. As previously stated, burning vinyl windows releases toxins into the atmosphere – incinerating the windows is not a “green” option. Yet, this can still happen in a landfill. Did you know that an estimated 8,000 accidental landfill fires occur each year? The U.S. Green Building Council concluded, “When we add end of life with accidental landfill fires and backyard burning, the additional risk of dioxin emissions puts PVC consistently among the worse materials for human health impacts.” Furthermore, only a small amount of vinyl windows actually gets recycled every year, while more than 14 billion pounds are produced annually. Aluminum is non-toxic, inflammable, non-magnetic and non-sparking. We don’t cut down trees or use petroleum products to produce the best choice for your window and door needs. Aluminum is the third most abundant element in the earth’s crust. It is important to note that this material is one of the most recycled products on our planet. Recycling aluminum takes just 5% of the energy required to make new aluminum. As a result, nearly 75% of all aluminum produced in the U.S. is still in use today. At Monumental Windows & Doors we strive for environmental responsibility and recycle 100% of our aluminum scrap. Read Part 1 of our All About Aluminum Series for more on the Aluminum Advantage.